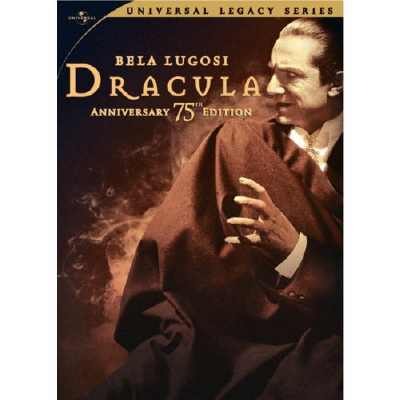 This amazing rendition of Dracula is sure to be the highlight of any classic monster fan's collection! 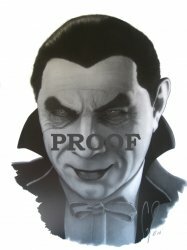 The staff of MyMovieMonsters.com discovered Cory Smith at the Anaheim Comic-con in April 2011 and is proud to offer his limited edition monster prints. An amazing pencilist with no formal training from greater Chicago-land, Cory started his interest in art by taking drawing classes in high school and some figure drawing at the local community college. 18 x 24" signed and numbered pencil prints are reproduced on hi-quality, 80 lb. acid-free paper, and are perfect for framing. Collectors Note: Shipped safely in sturdy shipping tube.